Our Organic Heliotrope Enfleurage Oil (Heliotropium arborescens) is most rare, coming from a small organic grower/producer in South America who extracts the essential oil by the ancient method of enfleurage. Each of our smaller sizes is nicely presented in a gift box. Also known as Organic Heliotrope Enfleurage and Heliotrope Absolute. Our Organic Heliotrope Enfleurage Oil is part of our Artisan Quality line. Our Organic Heliotrope Enfleurage Oil (Heliotropium arborescens) is pure undiluted Heliotrope Oil extracted by Enfleurage. 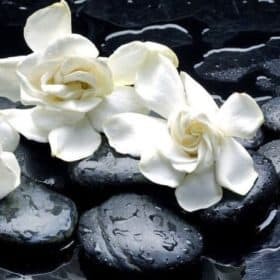 Enfleurage is an ancient technique of extracting essential oils from flower petals by layering the flower petals on trays of fat. Over time, the essential oils migrate to the fat and are then separated from the fat using organic alcohol. Next, the alcohol is evaporated leaving the pure essential oils with a truly wonderful aroma. Our modern version of enfleurage uses sustainably cultivated organic palm oil or organic coconut oil for the “fat.” Heliotrope flowers are too delicate for steam distillation. 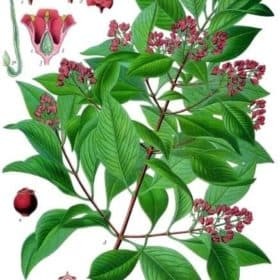 There is a great deal of cheap “Heliotrope Oil” on the market; these products are all synthetic as the real oil is very expensive, whether extracted by solvents or by enfleurage (see below for more information on extraction methods). Most of the authentic Heliotrope Oil on the market is extracted by harsh chemical solvents and is therefore called an “absolute” (Heliotrope Absolute). 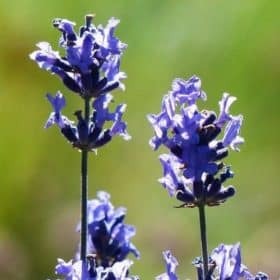 Although our Heliotrope Enfleurage Oil is sometimes called an absolute because it is not extracted by steam distillation, it is technically correct to call it Heliotrope Enfleurage. It is most rare, coming from a small grower/producer in South America who extracts the essential oil by the ancient method of enfleurage using only local organic farm raised palm oil and organic alcohol derived from local organic sugar cane. The entire process of extracting the organic Heliotrope Enfleurage Oil is done by hand using very low heat and no harsh chemical solvents. Pure local organic palm oil is used to absorb the aromatic oils from the Heliotrope flower petals. Once the palm oil is completely saturated with the essence of the Heliotrope flower, it is separated from the Heliotrope oil by cane sugar alcohol which is then evaporated to leave only the Heliotrope oil. 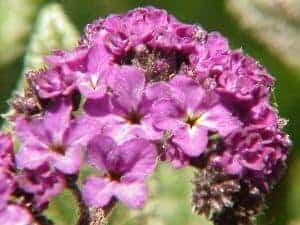 The process for producing the Heliotrope Enfleurage Oil is quite labor intensive and requires many pounds of Heliotrope flower petals per mL of oil, but the results are astounding. The aroma of our Heliotrope Enfleurage Oil is quite wonderful though somewhat different from the aroma of the actual Heliotrope flower. Definitely not as sweet as southern Heliotrope. Heliotrope cannot be distilled like most essential oils due to the delicate nature of the flowers. Enfleurage was the traditional method of extraction used in the 18th and 19th centuries and into the early 20th century. Solvent extracted Heliotrope Oil, called an “absolute”, is used extensively by the perfume industry but for aromatherapy use, the enfleurage oil of Heliotrope is preferred. No chemicals other than organic alcohol are used to extract our Heliotrope Enfleurage Oil. Either method (enfleurage or solvent extraction) is time consuming, and the oil yields are quite small for the amount of materials used. Some erroneously refer to it as Heliotrope Essential Oil but it is properly called Heliotrope Enfleurage Oil. Learn more about Enfleurage in this article by Dr. Joie Power. Most noses love the aroma of our enfleurage oils, but a few (less than 1%) of our customers smell more of the palm oil than the essential oil. 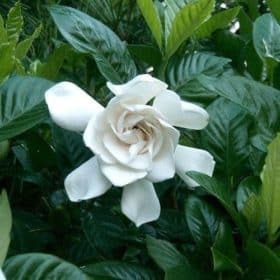 Initially, in addition to the aroma of the enfleurage oil, most people will detect a faint, earthy aroma of palm oil, but, if given a few moments to “breathe”, the floral aroma of the oil supersedes or replaces the aroma of the palm oil. 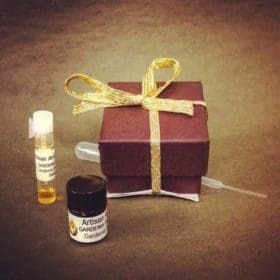 Since our enfleurage products cannot be returned for a refund, due to their rarity,we recommend that you first purchase a small sample vial to insure that you are not among the 1% of people who dislike the earthy note of the palm oil. Heliotropium arborescens, the garden heliotrope, is a highly fragrant perennial plant, originally from Peru. 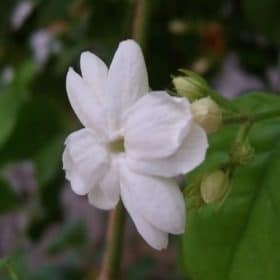 It has an intense, rather vanilla-like fragrance. Heliotrope is also known as Garden heliotrope, White Queen, and Cherry Pie. Heliotrope has such an interesting scent, and we feel that its oil is absolutely fabulous. Originally from Peru, Heliotropium arborescens was introduced to English and European gardens in the early to mid eighteenth century. 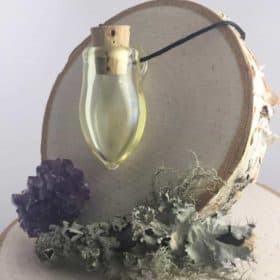 Heliotrope oil has been said by some to have magical uses that include attracting wealth, protecting from physical harm, promoting clairvoyance, and finding lost objects. 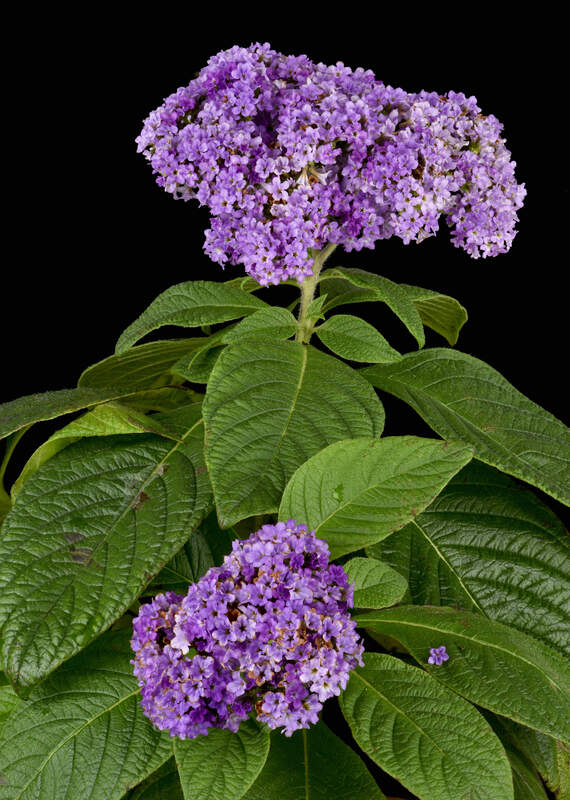 Heliotrope flowers certainly attract butterflies and that in itself is rather magical, we think. Do not apply undiluted Heliotrope Enfleurage Oil directly on the skin since it can be irritating, especially for those with sensitive skin.